Lawrence Okinaga is a partner in the firm's Honolulu office and a member of its Transactional practice group. He concentrates his practice in the areas of corporate, financial institutions, real estate, and administrative law. Mr. Okinaga has developed this deep experience in representing corporations, partnerships and individuals, for more than 38 years. He regularly advises clients on business matters and supervises the firm's litigators in clients' disputes. He is listed in Chambers USA: America's Leading Lawyers for Business 2018 for Corporate/Commercial: Finance. 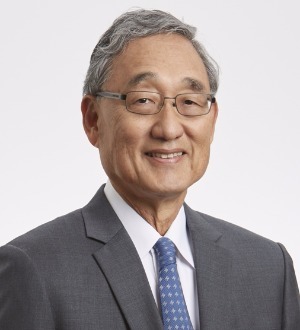 He was named Lawyer of the Year—Financial Services Regulation Law—Hawai`i by The Best Lawyers in America 2015, and is also listed for Banking and Finance Law and for Litigation - Banking & Finance; he has been listed in the publication since 2005. Named Best Lawyers 2018 "Lawyer of the Year" - Banking and Finance Law and is also listed as Best Lawyers in America 2018 - Administrative/Regulatory Law; Banking and Finance Law; Consumer Law; Financial Services Regulation Law; Litigation - Banking and Finance; he has been listed in the publication since 2005. He was named Lawyer of the Year—Financial Services Regulation Law—Hawai`i by The Best Lawyers in America 2015, and is also listed for Banking and Finance Law and for Litigation - Banking & Finance; he has been listed in the publication since 2005. University of Hawaii - Manoa (Richardson), B.A.